slow disks, bad memory, misconfigured machines, flaky machines, etc. 如果有下标j > i，那么termj >= termi. There are significant gaps between the description of the Paxos algorithm and the needs of a real-world system. . . . the final system will be based on an unproven protocol . Raft uses a heartbeat mechanism to trigger leader election. 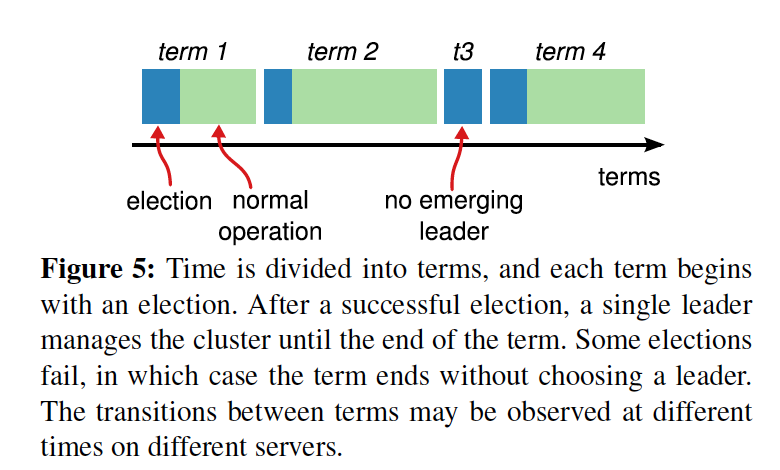 When servers start up, they begin as followers.A server remains in follower state as long as it receives valid RPCs from a leader or candidate.Leads send periodic heartbeats(AppendEntries RPCs that carray no log entries) to all followers in order to maintain their authority.If a follower receives no communication over a period of time called the election timeout, then it assumes there is no viable leader and begins an election to choose a new leader. a period of time goes by with no winner. Election Safety: at most one leader can be elected in a given term. // Invoked by candidates to gather votes (§5.2). 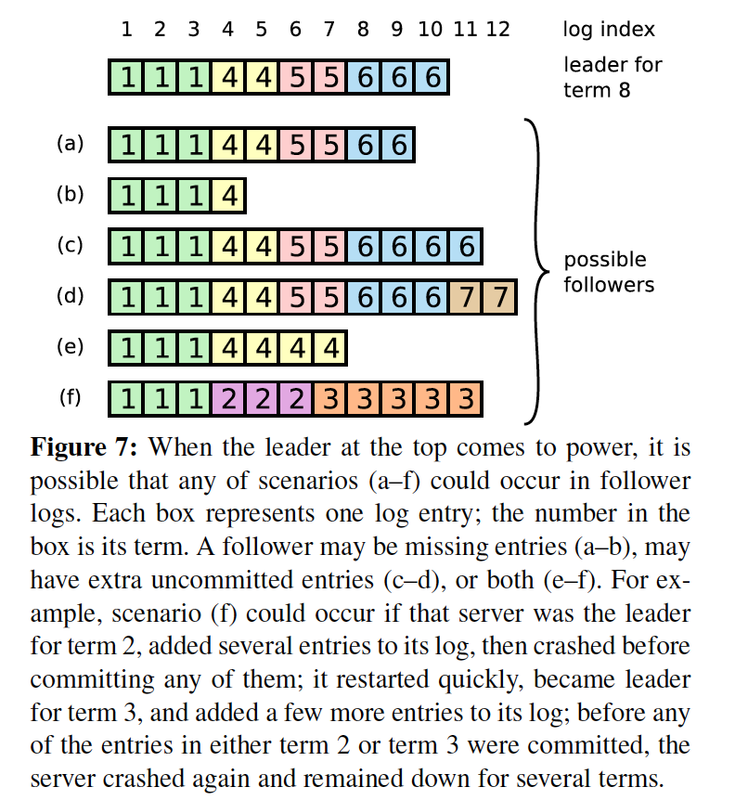 The leader maintains a nextIndex for each follower, which is the index of the next log entry the leader will send to that follower.When a leader first comes to power, it initializes all nextIndex values to the index just after the last one in its log (11 in Figure 7). // Invoked by leader to replicate log entries (§5.3); also used as heartbeat (§5.2). 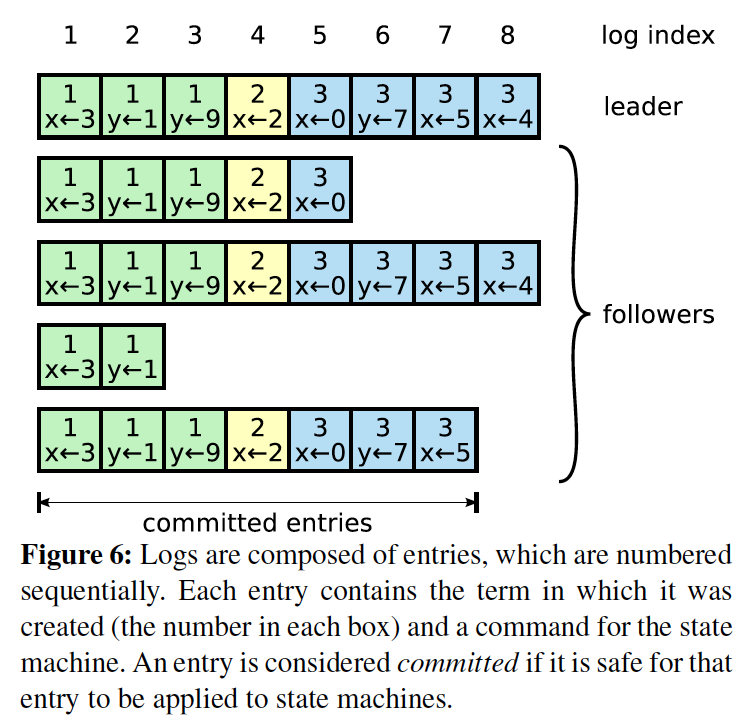 Log Matching: if two logs contain an entry with the same index and term, then the logs are identical in all entries up through the given index. In Raft, the leader handles inconsistencies by forcing the followers’ logs to duplicate its own. Leader Append-Only: a leader never overwrites or deletes entries in its log; it only appends new entries. 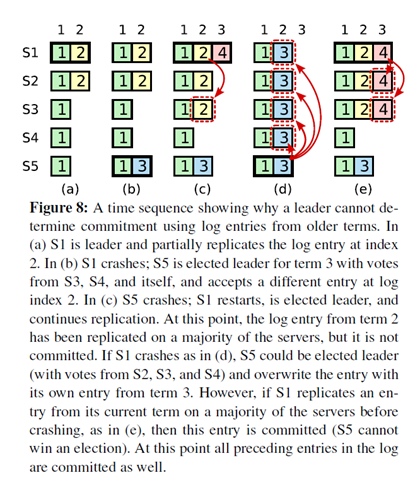 Raft determines which of two logs is more up-to-date by comparing the index and term of the last entries in the logs. If the logs have last entries with different terms, then the log with the later term is more up-to-date. If the logs end with the same term, then whichever log is longer is more up-to-date. Raft never commits log entries from previous terms by counting replicas.